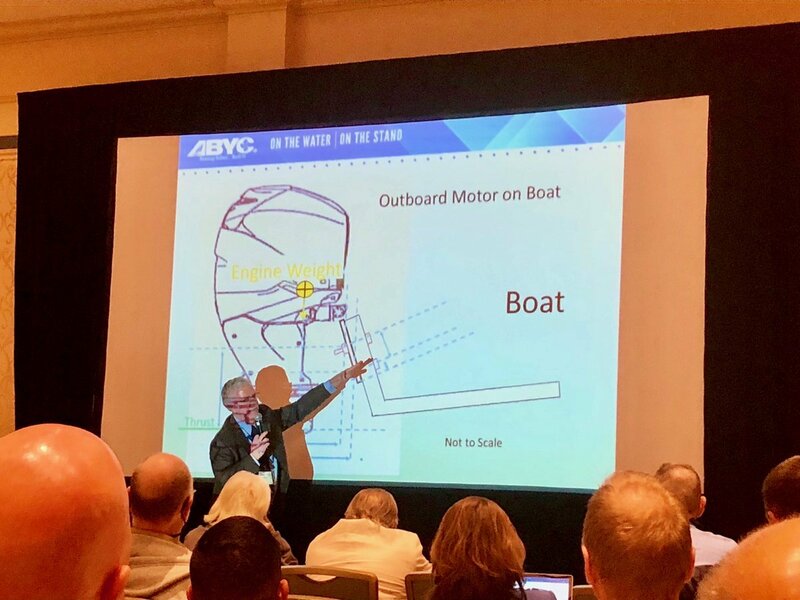 The American Boat & Yacht Council is offering its first “Practical Application of ABYC Standards” course June 4-5 at its headquarters in Annapolis, Md. It’s targeted at entry-level marine technicians, surveyors, service writers and customer service and insurance representatives. Students will participate in a mix of classroom and on-board sessions on the council’s floating classroom, a 38-foot Californian convertible. Students will inspect the vessel, evaluate it for compliance with ABYC standards and present recommendations to the class. Course objectives are to educate participants on the application of current ABYC Standards to boats while conducting inspections for initial service, condition and valuation surveys and service claims. The inspection is followed by writing and understanding a survey report. Students will be taught to find the balance between the standard and the boat being evaluated. Prices for the course are $449 for ABYC Members and $749 for non-members. The course requires that attendees bring their own laptop computer and sign a liability waver. The class is currently full, but interested parties can click here to join the waiting list.